A photo from the episode "Hi, Society." 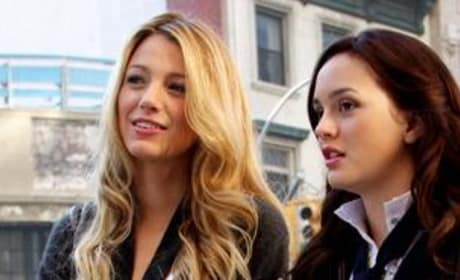 Serena van der Woodsen (Blake Lively) and Blair Waldorf (Leighton Meester) are two of the most scandalous, cutest girls on the Upper East Side. These old friends are also rivals at points - particularly when S' past indiscretions with B's boyfriend are discussed. It was another tough episode for Jenny (Taylor Momsen), who struggles to find where she fits in - with her family or with a clique of new friends far out of her economic league. 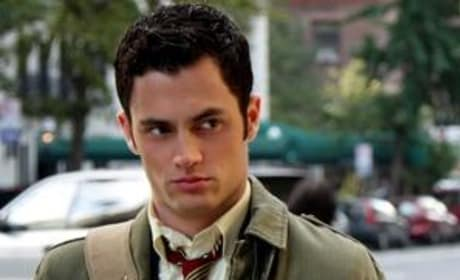 Dan Humphrey is down-to-earth and delightfully middle class. Not to mention cute. He's the hero we can all unite behind on Gossip Girl as he romances the lovely Serena. Go Dan! 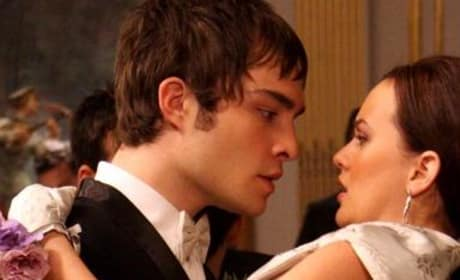 Does Chuck (Ed Westwick) stand a chance with Blair (Leighton Meester)? He wishes... and maybe he would have before he screwed up and got busted scheming to screw Nate. Tonight is the night of the ball where Serena van der Woodsen makes her debut. But will Serena (played by Blake Lively) be the slightest bit happy about it when she learns what her mom and grandmother have been up to behind her back? Despite the efforts of Serena's evil grandmother, Dan sticks it out and wins the affections of Serena at the ball. It helped that Lily stood up for him - and herself - by swallowing her pride and admitting she'd been unfair. 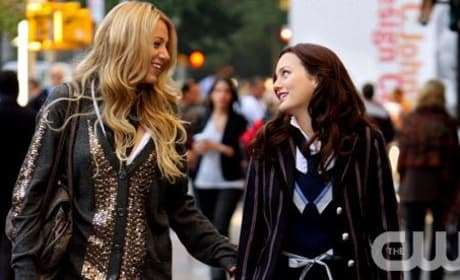 Serena and Blair have their differences, and certainly some things in the past have strained their relationship, but they remain close, and are in the process of working things out between one another. 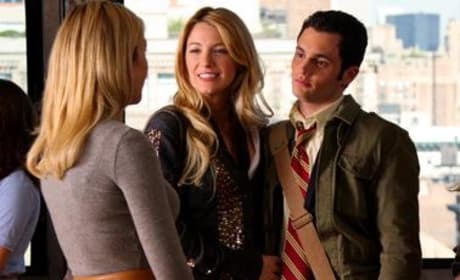 Dan Humphrey talks to Serena and Lily van der Woodsen. It is downright funny to watch him interact with Lily... and it melts the heart when he and Serena are together. 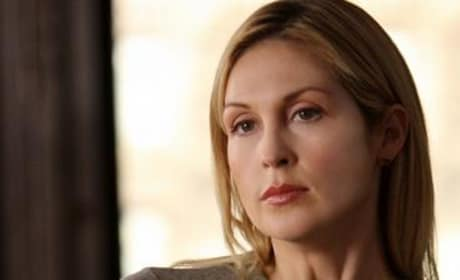 Lily van der Woodsen (Kelly Rutherford) finally sees the error of her ways and wants for Serena what she decided she didn't want and now regrets - her true love, a Humphrey man. We love Blair Waldorf, played by Leighton Meester. If anyone can pull of this unconventional look, it would be her! This is Serena's big debut, or so they say in Upper East Side circles. But will her knight in shining armor be there? Carter: Nate. Look, I was hoping to see you, I wanted to apologize, put the past behind the past. Nate: You don't get to say what goes on here. I'm on to you. Man, I have to find out if she's seen someone, it's killing me. Permalink: Man, I have to find out if she's seen someone, it's killing me. Gossip Girl Round Table: "Hi, Society"